The current boom that I'm captivated by is the bluetooth, radio and wi-fi pairing of devices for intelligent networks of complimentary computers performing single functions. Apple in particular has set the stage for a broad range of complimentary devices and programs offered by entrepreneurs and inventors. As the iOS advances with multiple Apple devices being able to sync seamlessly across device types, application developers have been able to break free of hard-wired connections to enable intelligent peered-device interactivity. In the coming years we'll be able to release advanced gesture tracking and haptic (touch) feedback peripherals in the open marketplaces that Apple has provided us. (Android I'm sure will follow. For now Android is leading in the RFID space, but due to their Windows-like distribution strategy, consistency of device interaction across multiple hardware distributors is more complex than iOS.) There are a range of options in networking devices for complex application functionality along a range of combinations: chip to phone, phone to tablet, tablet to computer and peered like devices (iPod-to-iPod, iPhone-to-iPhone, iPad-to-iPad). Trend 1, Chip-to-device: The first trend to follow is remote chip inputs to mobile or stationary devices. You may be familiar with Nike+ or have seen its marketing. Nike partnered with Apple to enable a remote accelerometer embedded or inserted in a shoe to transmit its motion to the user's Apple device (iPod, iPhone) for storing and syncing motion into applications and transmitting data to the internet. On this trend GTX and Mosoro intend to expand. GTX is releasing a permanent embedded chip for shoes to enable tracking for patients suffering from mental impairments or dementia. Alzheimer sufferers for example, when lost likely would not take of their shoes. So family members can find them in case they get lost. Mosoro intends to enable chip tracking of skateboard motion or other sports motion to apps on the mobile device. Trend 2, control pairings of iPod/iPhone/iPad as inputs to other tablets or computers: The same trend becomes more advanced in application breadth if both devices have computer processors as the range of commands they share can expand. One master device can accept messages from one or multiple remote "smart" devices sending a multitude of sensor signals including light, sound, position, orientation, motion or interface commands. iPhones serving as remote controllers for TVs and computers have been the earliest iterations of this. 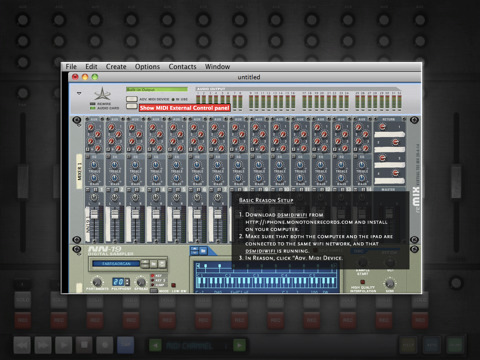 My favorite example of this is the MasterDaelion page turning app for musicians released by ViSSee. 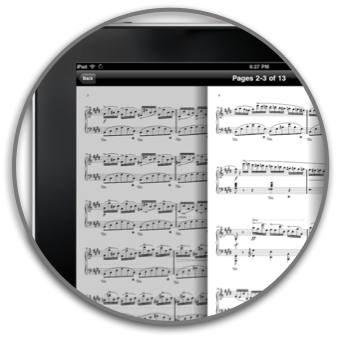 The app uses camera data from a phone to transmit commands to a remote tablet device, so musicians can turn pages without leaving the instrument. 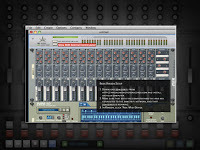 Trend 3, smart-phone or tablet device controlling remote computers: With the release of iOS 5 we anticipate expanded capabilities of controlling desktop computers with smart-phones. Previously we have seen iPhone remote controls for Macs in the controlling of entertainment and business presentations. Zipcar has even come up with phone-to-server-to-car implementations to locate and open doors of rental cars. 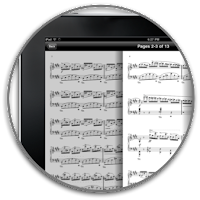 Musicians use iPads now as command centers for multiple computers in the composition and performance of music with multiple processors playing a specific role in a single synchronized instrument. Trend 4, peer-to-peer smart devices synchronized in the same function: An exciting development that we will see expand over the next few years is vast networks of peered computers engaged in a single function. Conceptually this is an old technology fundamentally, Instant messaging systems sync networks of users for the sharing of messages. (Yahoo! Messenger, Skype, Google Buzz/Talk) Gaming platforms too synchronize motion commands between remote users to render environments such that each player can sense that they are sharing a virtual space with other players. These approaches of syncing multiple users in a shared task will become commonplace in our mobile gaming and productivity applications as well. One of my favorite app developers, Smule, has created a suite of peered musical apps that let users share compositions in real time over their iPhones, iPods and iPads. Pictured at left, their World Stage function in Leaf Trombone permits listeners to give real-time feedback to other performing Smule users. Trend 5: Peer networks of mobile devices creating intelligent systems on an abstracted meta-layer. Millions of computers can be strung together to create super-computers sharing a portion of a calculation on each device for the benefit of a process that happens on a meta-layer. SETI for example uses spare processor time on volunteers' computers to serve as a massive distributed data processor. 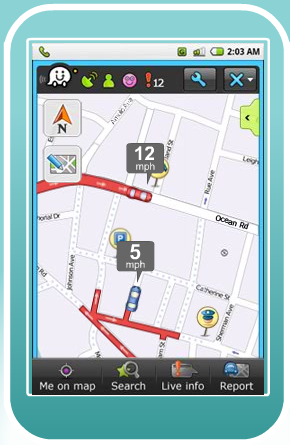 The most exciting application I've seen in this space is the Waze application which uses the motion of millions of smart-phones to infer crowd-sourced mapping and traffic flow data. The individual's phone is just a node that passively contributes data to the broader system. While you can also consume the resulting data, you're more useful as a node for a bigger picture. This will expand to other forms of information transmitted across networks of devices that use us individually as sensors for a larger picture purpose. ncubeeight will be focusing on products address trends 1, 2 and 4 and 5 in the near future. I'll be back with the results.